With the first day of spring being a little over ONE month away, I’ve been dreaming of all food fresh and vibrant; colorful salads, springy soups, and carrot cake themed everything. The upside of day-dreaming about food is that it sometimes leads to creating delicious recipes. 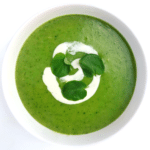 For example, this Zucchini-Watercress Soup. Creamy, flavorful, and nutrient-packed. Basically a big hug in soup form. 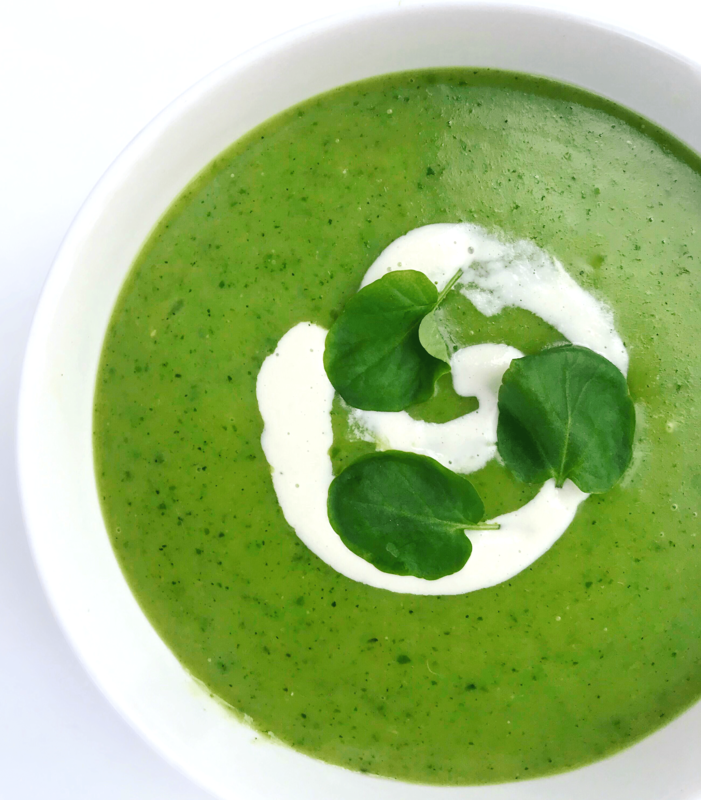 Watercress is something that has been at the top of my shopping list lately – one reason being that it’s such an underrated powerhouse veggie (that’s right, move over kale). 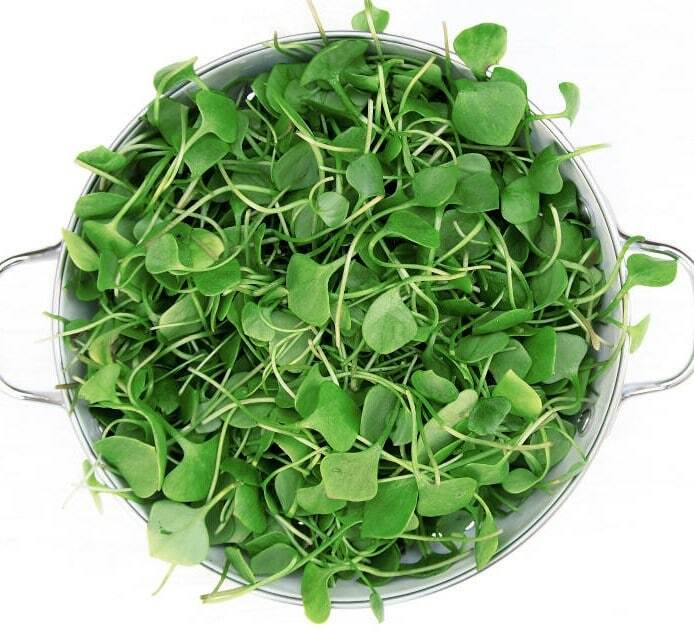 This tasty green is great in salad, on burgers, in soups, etc. I love the rich and peppery taste it offers combined with the creaminess of the zucchini in this recipe. For extra creaminess, I swirled in some cashew cream (feel free to use regular cream if you can tolerate dairy). You can make cashew cream at home by boiling water in a saucepan, removing the pan from heat, and adding raw cashews. Cover and let them soak for 15 minutes, then drain and rinse. Add them to a high-speed blender and process until you get cashew meal. Then add water until you reach a creamy consistency (I usually add a little less than the amount of cashews, ie. if I used 1/2 cup of soaked cashews, I would blend them with a little under 1/2 cup of water). 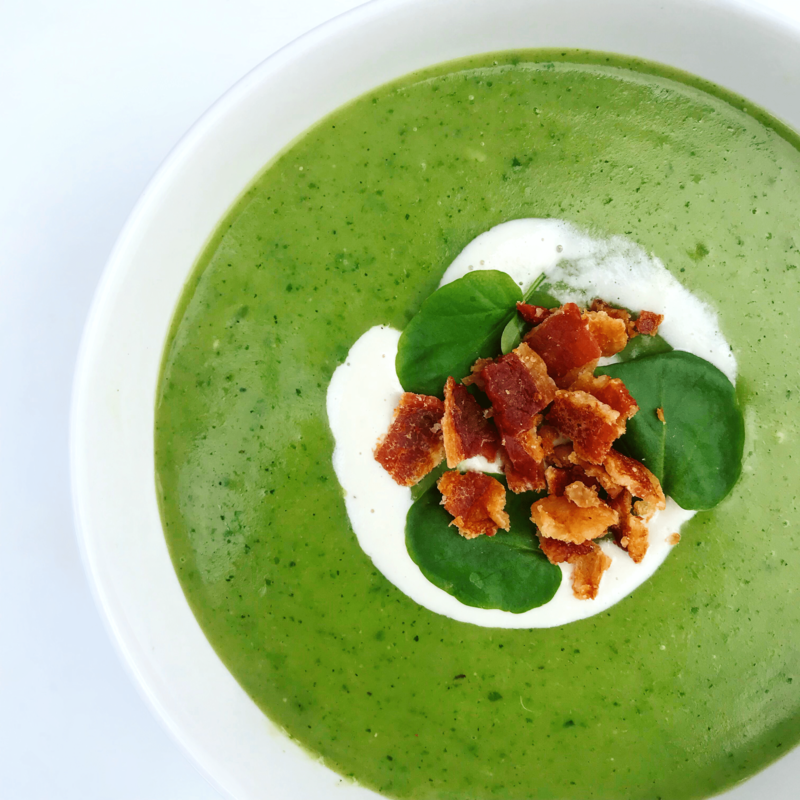 Additionally, I topped my bowl of soup with bacon and watercress leaves. 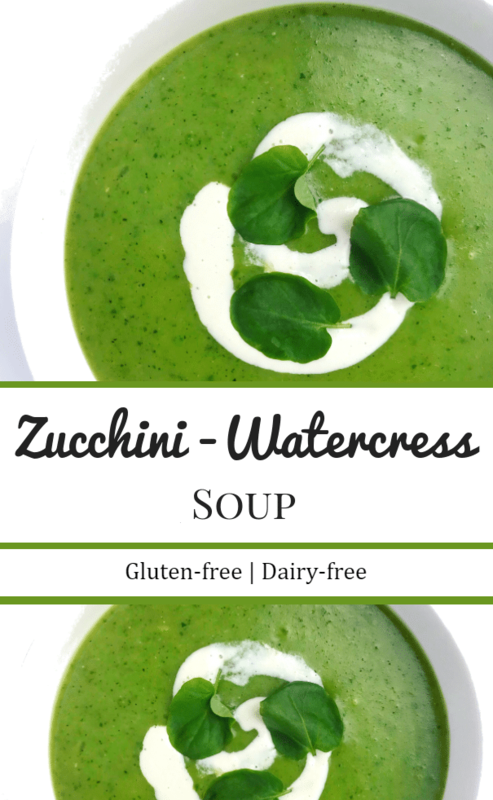 Zucchini watercress soup is a new family favorite (even 3 year old who dislikes zucchini approved) and I’m so excited for you to try it! This soup is surprisingly flavorful for the small amount of ingredients the recipe calls for (which is why I love simple + real food!) and these ingredients really do speak for themselves in terms of flavor. This vibrant and delicious Zucchini Watercress Soup recipe is quick, easy, and perfect for any season. Saute sliced zucchini in olive oil or grassfed butter for 3-4 minutes in a stock pot: season evenly with a good quality salt. Add broth to stock pot and bring to a boil. Reduce heat and simmer covered for 15 minutes. Add watercress to stock pot and cook for 5 more minutes, covered. Once the soup is done simmering, let it rest for 5-10 minutes. Then add it to a blender or use an immersion blender and process until you get a creamy consistency. Add back to stockpot and bring to a simmer. While waiting for the liquid to simmer, stir together the tapioca starch with 1/2 cup of cold milk (I used a dairy-free nut milk) until there are no lumps. Stir mixture into the soup. Let soup cook for 2-3 more minutes to allow it to thicken. Remove from heat and serve. Top with cashew cream or bacon and garnish with watercress leaves. Approx. 3-4 FPs per serving – FP stands for Fermentation Potential and is used to determine the symptom potential in foods for those using the Fast Tract Diet to heal/improve symptoms of GERD, LPR, SIBO, IBS, etc. I love to create recipes that nourish the body & soul. 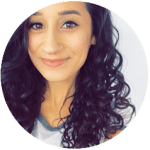 As someone with GERD (chronic acid reflux), Celiac Disease, & food allergies, I'm here to show you that you can still enjoy food even with dietary restrictions. Sign-up to receive my free recipes and tips! Thank you for subscribing to get my free recipes and tips! Be sure to check your inbox or spam folder to confirm your subscription.